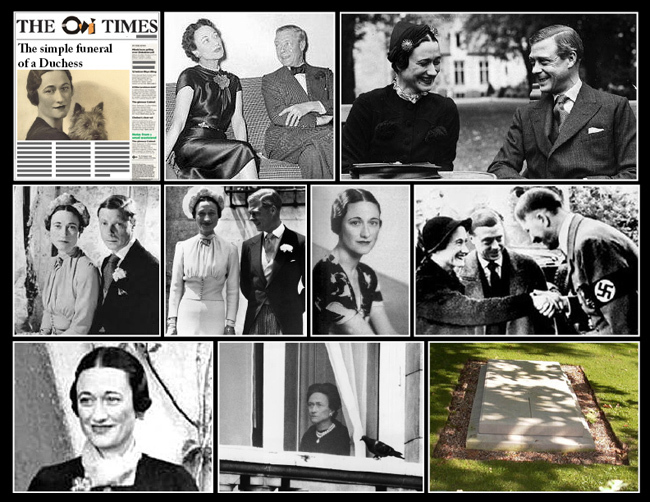 May 1st 1986; the Duchess of Windsor, Wallis Simpson, has been laid to rest alongside her husband, the abdicated King Edward VIII, at Frogmore in Windsor. She was buried in an English oak coffin, marked with a silver plate inscribed simply "Wallis, Duchess of Windsor, 1896-1986". The funeral service, at St George's Chapel, was marked by its simplicity. Although flags were flown at half-mast, there was little of the pomp and ceremony which usually marks Royal funerals. The 100 guests included the Prime Minister, Margaret Thatcher, and her husband Denis, as well as the Labour leader, Neil Kinnock.